Normal flora of the mouth and throat. Lancefield group H, alpha hemolysis. Optochin resistant. May cause infections in humans. Nonmotile. Cocci; chains. Gram positive reaction. Aerobic. Incubation temperature 37°C. 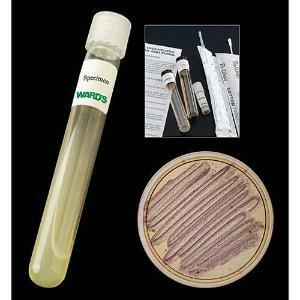 Blood agar growth medium. Note: Pathogen. Packaged in a 16 x 125 mm tubes. Call our Customer Service for availability of demo plates and other special orders.